Juno Lighting 6-Inch New construction LED downlight employs 12.5 - 12.6-Watt LED lamp with average life of 50000 hours to deliver a brightness of 600 Lumens. LED lamp has color rendering index of 90 and color temperature of 4100K. Lamp offers exceptional color consistency within a 3-step MacAdam ellipse. This dimmable downlight uses universal driver that has power factor greater than 0.9 and accepts input voltages from 120 - 277-Volt AC at 50/60-Hz. Downlight features computer-optimized reflector design with a high transmission diffusing lens to produces uniform aperture luminance. It measures 15-3/4-Inch x 13-1/2-Inch x 5-1/8-Inch. 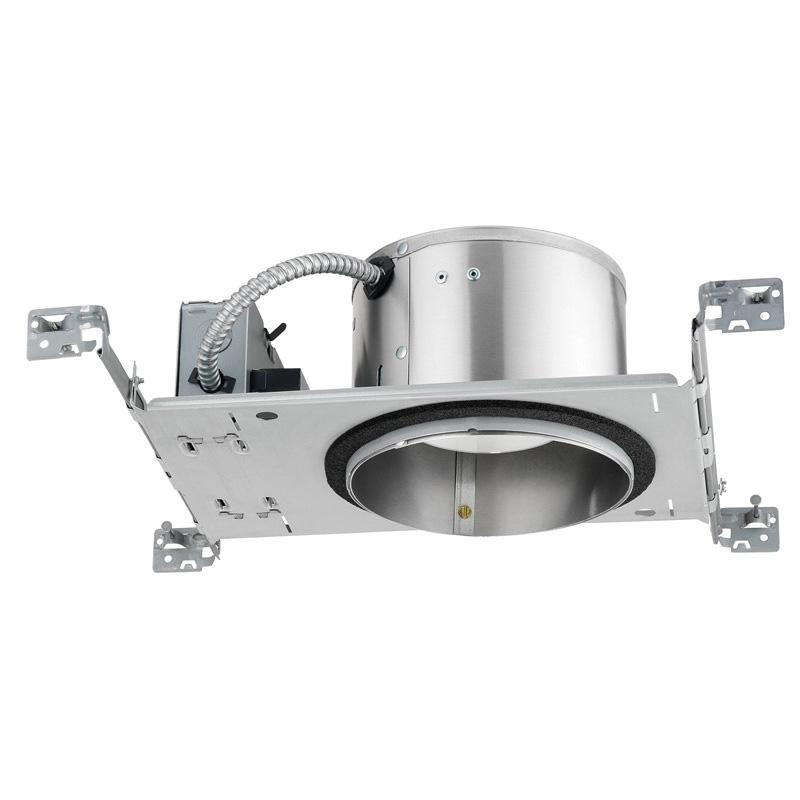 This downlight with 6-7/8-Inch cut out, supports mounting on 2-Inch thick insulated ceiling. It is suitable for use with a wide selection of existing Juno trims including new Juno hyperbolic trims. It comes with recessed housing and open trim. Downlight is UL/cUL listed and Energy Star® certified.